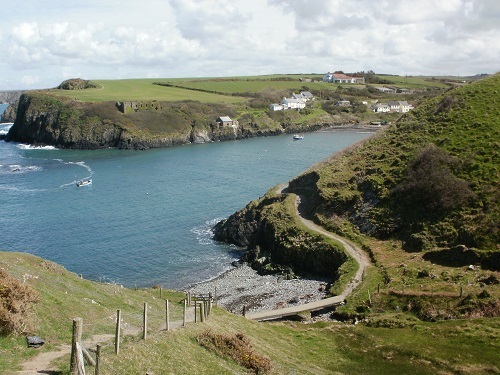 The beautiful Pembrokeshire Coast Path in South West Wales is one of the 19 National Trail walks in Britain and one of the 3 in Wales, the others being the Glyndwr's Way and Offa's Dyke path which closely follows the Wales-England border, it was the first National Trail in Wales and was opened in 1970, it runs between Amroth in the South and St. Dogmaels in the North. 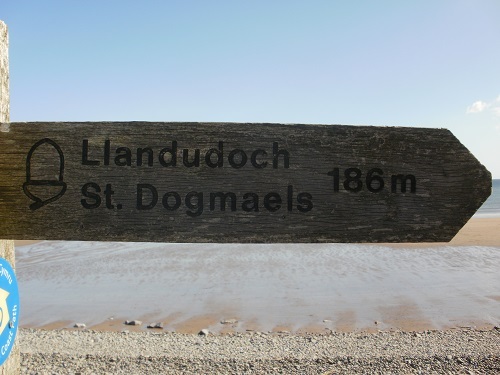 The distance is given as being 186 miles but you'll probably walk a few extra miles diverting off the trail for accommodation some days or into little villages for something to eat or drink. 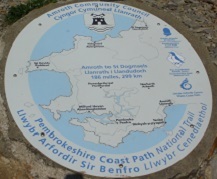 The Pembrokeshire Coast Path is part of the Wales Coast Path which was opened in 2012 and is 870 miles long but many people describe the Pembrokeshire Coast Path as being the best part of the Wales Coast Path. 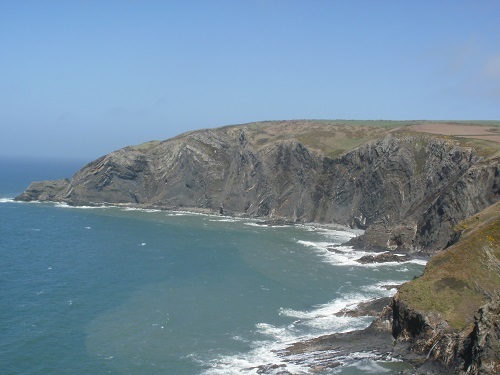 Although it's mainly a cliff top, it still manages 35,000 feet (11,000 m) of ascent and descent and it covers a range of maritime landscapes, from rugged and steep limestone cliffs and volcanic headlands to sheltered red sandstone coves, flooded glacial valleys, winding estuaries, and wide-open beaches. The path passes 58 beaches and 14 harbours and most of the time the path follows the coast but in a couple of areas this is not possible e.g. the oil refineries at Milford Haven and military areas. 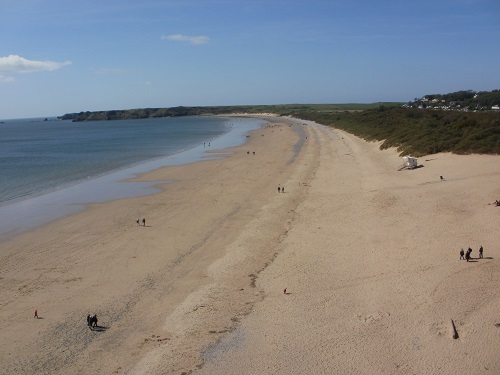 The Pembrokeshire Coast Path passes through or near a few pretty seaside town and villages including Tenby, Pembroke, Milford Haven, Solva, St. Davids, Broad Haven, Fishguard and Newport (not the City in Gwent) so plenty of places to get food and supplies on this walk. It is popular with people camping along the trail with many campsites but also for anyone wanting to stay in a bit more comfort there are plenty places to find accommodation although in certain places they are more scarce. The north half of the walk can be done using 4 of 5 Youth Hostels if you are able to walk over 20 miles each day and are on a budget as some places can also be expensive. I did this walk starting in April 2016 and completed it in 9 days but I'd recommend taking more days to take in the scenery if you intend walking it. This is my account of my time on the Pembrokeshire Coast Path, I hope you enjoy reading it, I hope it helps and I hope you decide to walk it and enjoy it as much as I did.